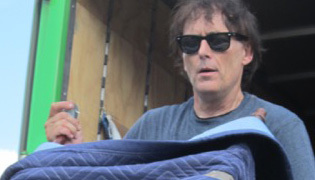 When you are moving, you might want or need to store some of your belongings for a period of time. You may be waiting until your new location is cleaned and ready. You might have pieces of furniture or other items that don’t fit in your new home, but ones that you want to keep for sentimental or other reasons. You may need some time to settle in before you’re ready to move all of your belongings into your new home or office. Whatever the reason, Vic’s The Moving Man offers a variety of storage options to make this process simple and easy. From self-storage or mini storage to warehouse residential and commercial storage solutions, we are able to safely hold your personal belongings until you are ready for them. We also offer storage containers for rent, making it possible to store your items right on your property and unpack them whenever you need them. This is an excellent option for those who are too busy to fully unpack and furnish their home right after moving. It allows you the freedom to unpack when it is convenient for you. 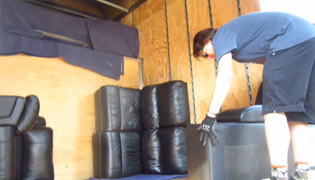 At Vic’s The Moving Man, we offer excellent prices on a wide variety of mini storage options. Self-storage is a great choice for anyone who needs regular access to their belongings. You can select the storage locker that is best suited to your needs at some of the most competitive prices in the industry. There are a number of sizes and types available. Plus, if you need any assistance at any time, our friendly and informative team can assist you in choosing the right size and type of unit for your unique needs. All of our facilities are completely secure, organized and clean so you do not have to worry about your possessions at any time. Construction delays, closing dates and various issues often make it necessary to arrange for temporary storage when you’re moving. 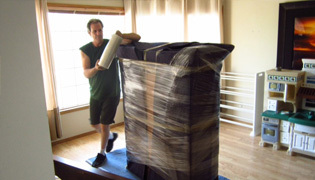 Vic’s The Moving Man has the moving and storage solutions that you need to make these situations straightforward and stress-free. We always handle and store all of your items with care. Upholstered furniture is wrapped to protect it from dust and dirt. It’s then stored on specially-designed racks and remains packed and sealed while it is stored in order to reduce risks and keep it in great condition. All of our Langley storage facilities are secure, clean and climate-controlled to provide safe, secure and protected storage at all times. We have our warehouses inspected regularly to make sure that all of our clients always receive the high level of service that they deserve. Our climate-controlled storage spaces are available for all of your commercial storage needs. Our fully-secured warehouses are able to accommodate any commercial storage requirements, regardless of the size. From storing office furniture during a move to receiving millions of tiny car parts, we have the storage solution that’s right for you. Our high-quality commercial storage offerings are competitively priced, fully secured, reliable and safe. We have both short- and long-term storage options available at affordable rates. Please contact us for more information.